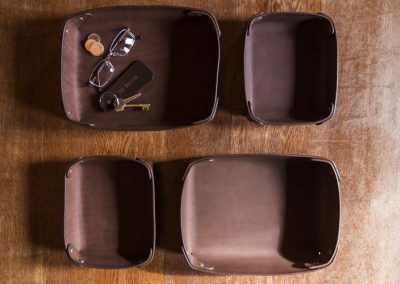 This is a stylish, yet simple storage solution for the home. The Home Tray is perfect for the hall table, the kitchen counter and even the bedroom cabinet. 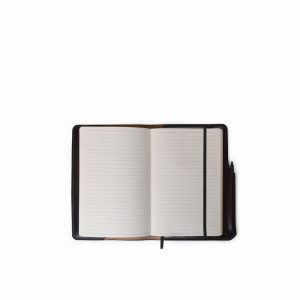 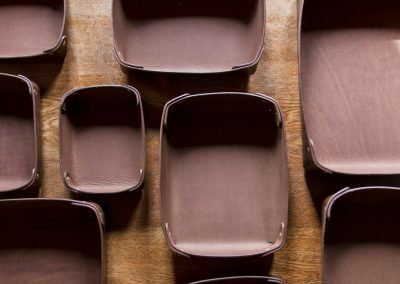 A simple, single portion of leather folded and overlaid at the corners to create elegant tray shapes that can also be stacked. 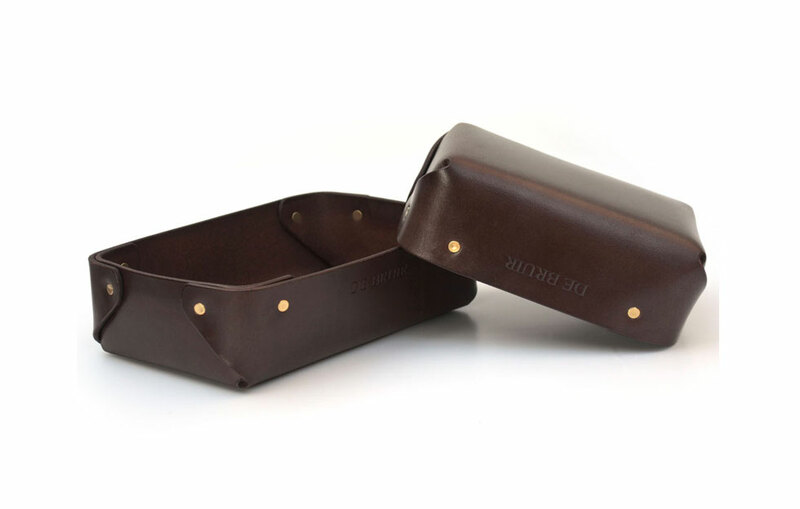 Finished with brass rivets to ensure a permanent form. 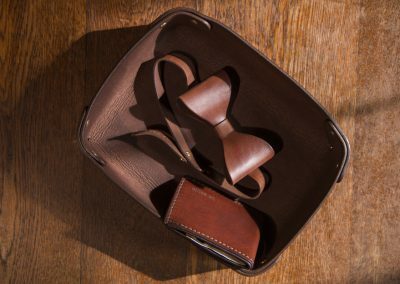 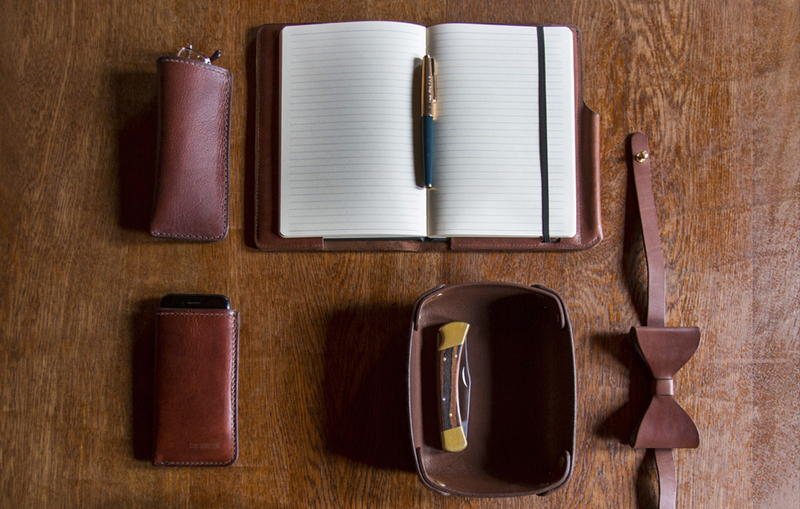 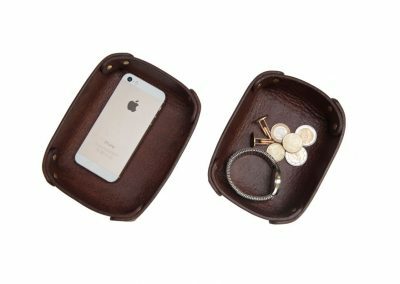 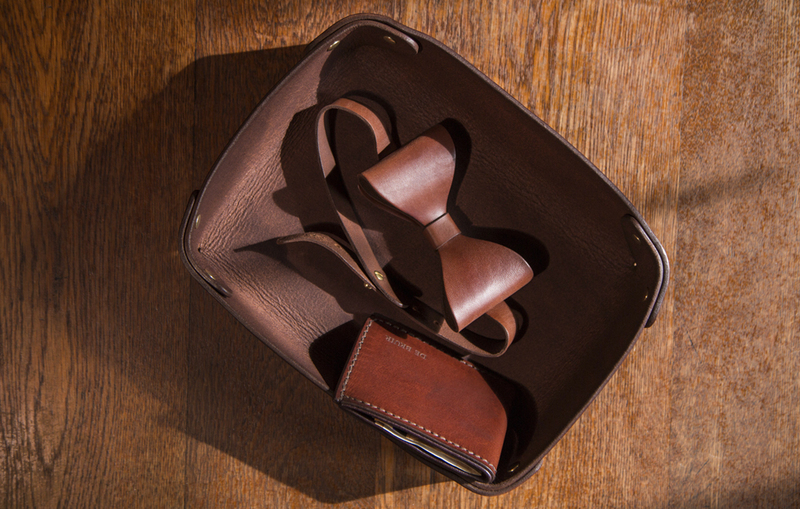 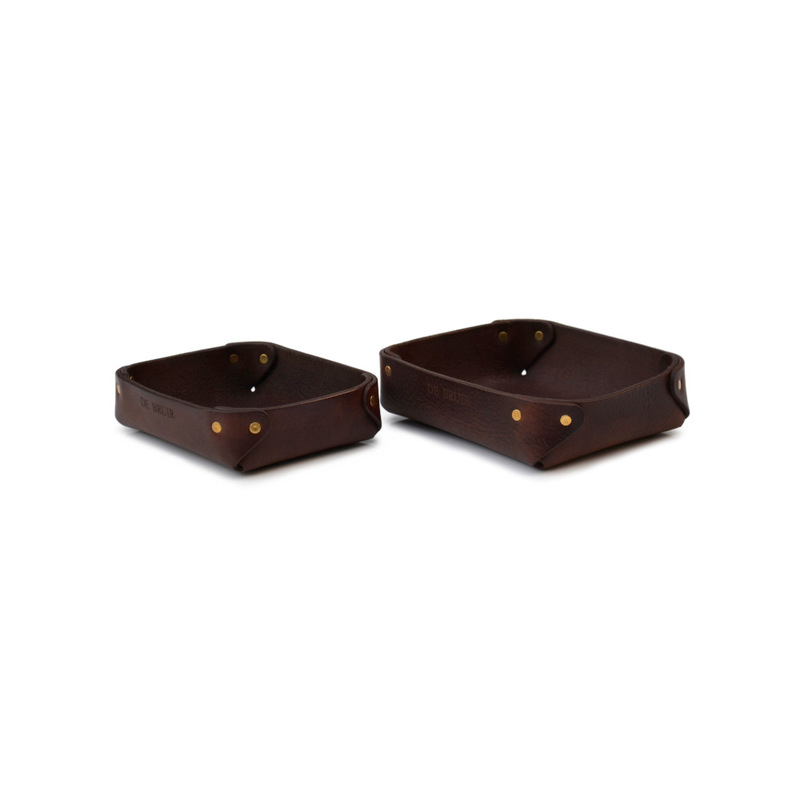 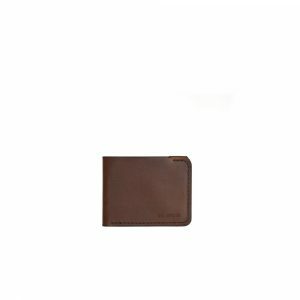 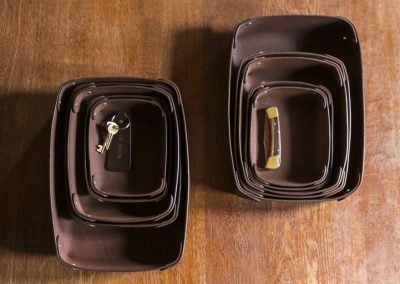 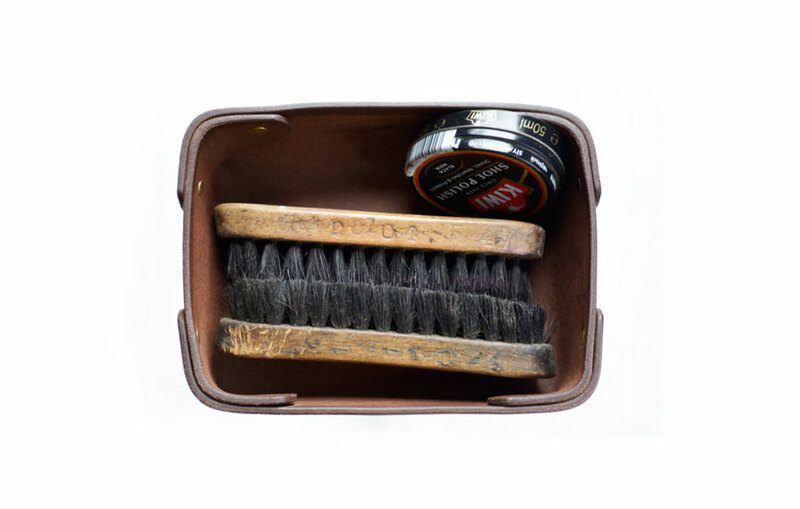 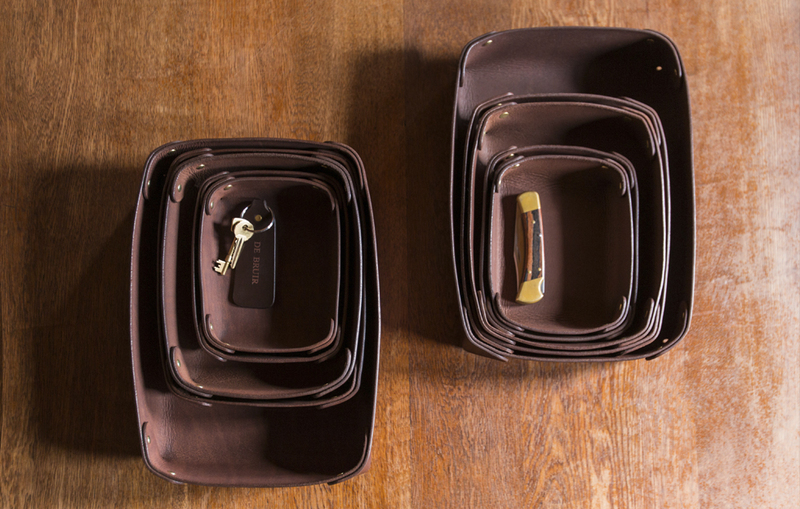 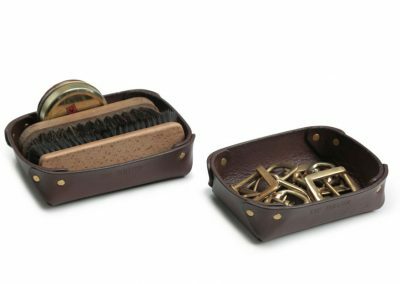 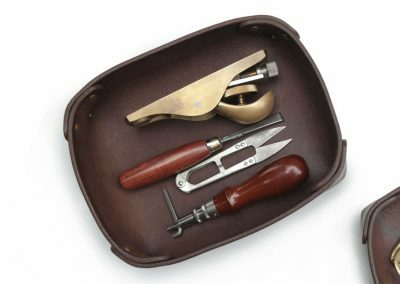 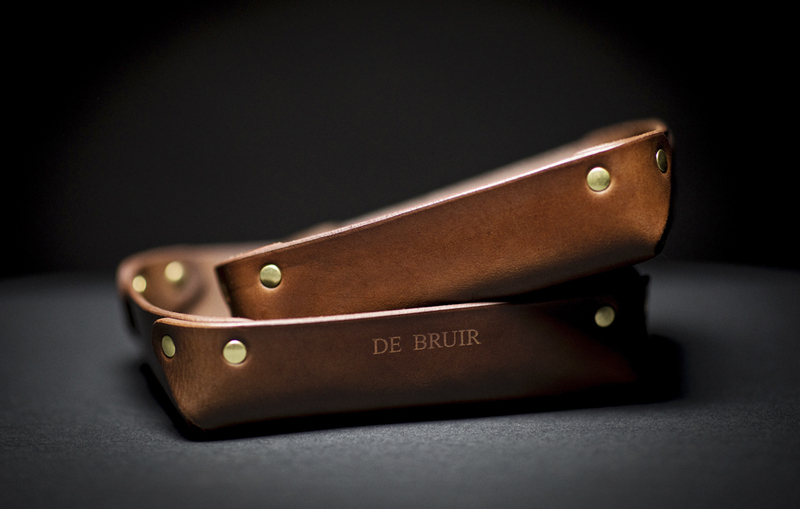 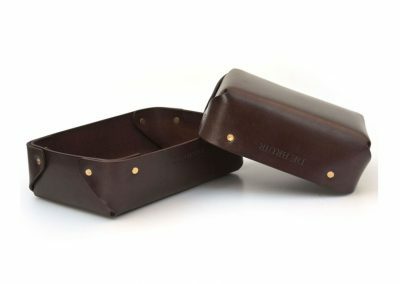 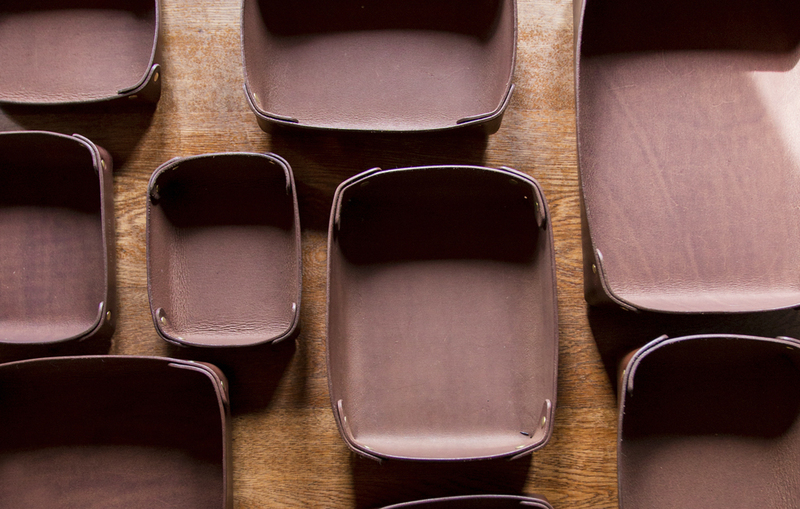 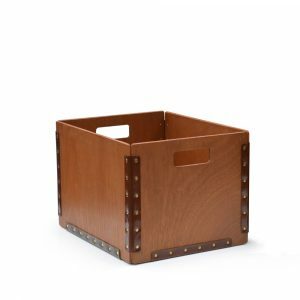 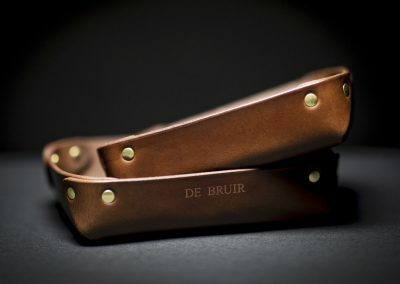 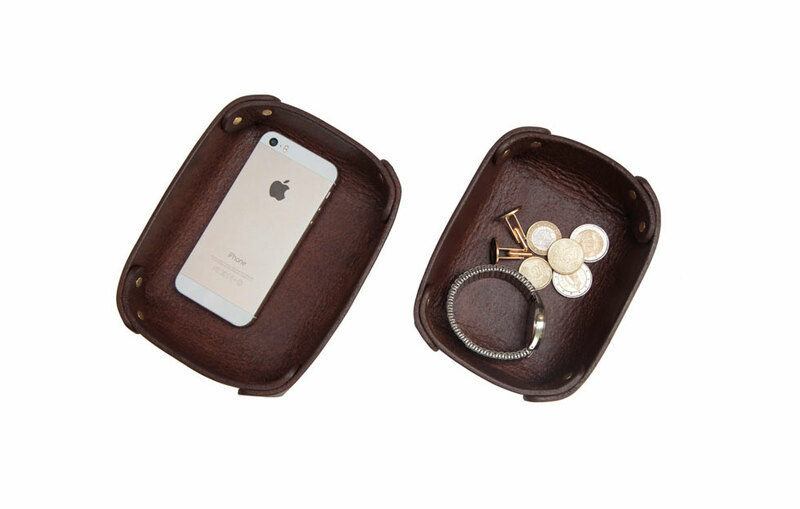 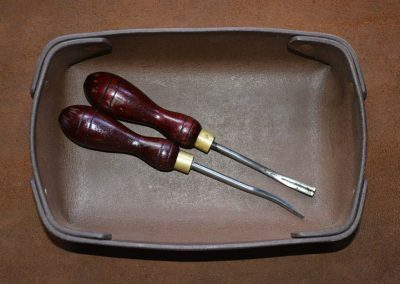 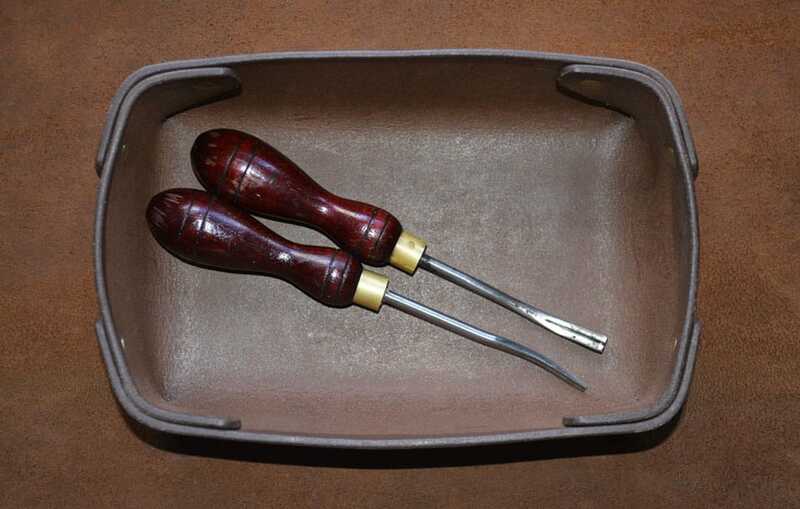 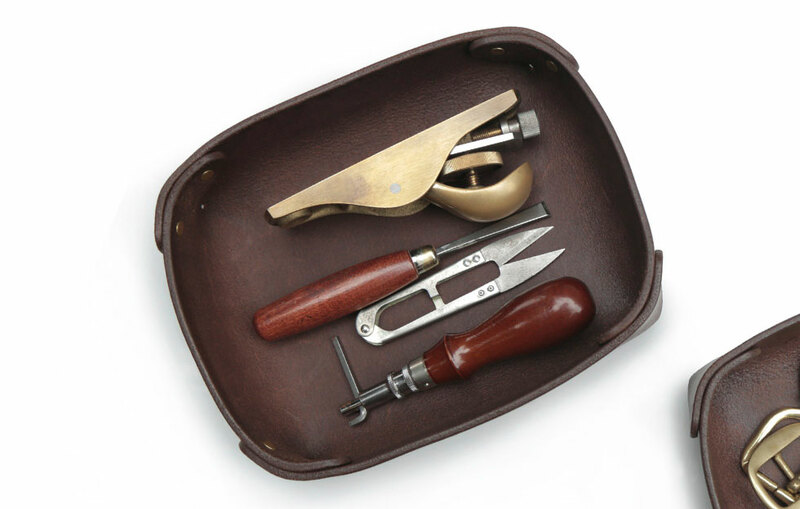 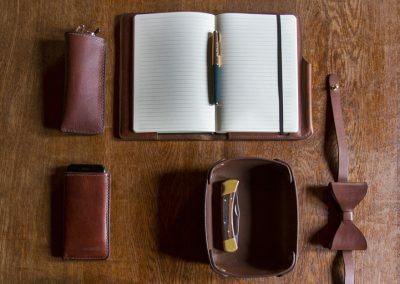 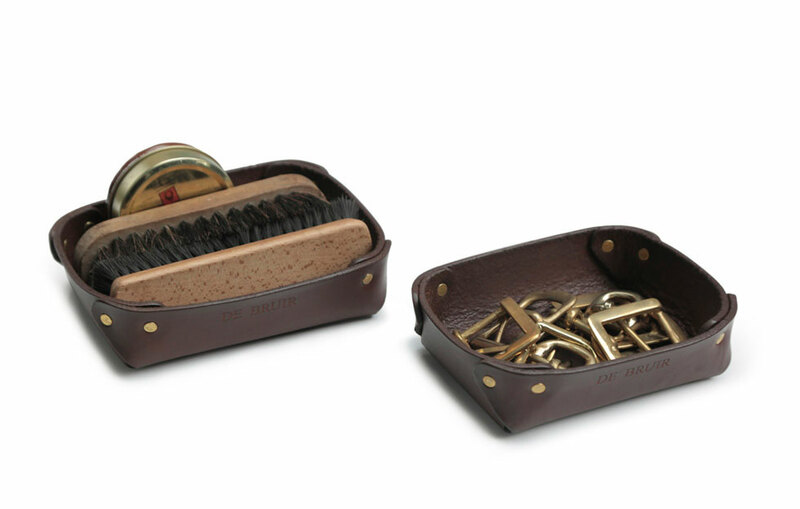 These stylish leather trays are a convenient way to store household or personal items.